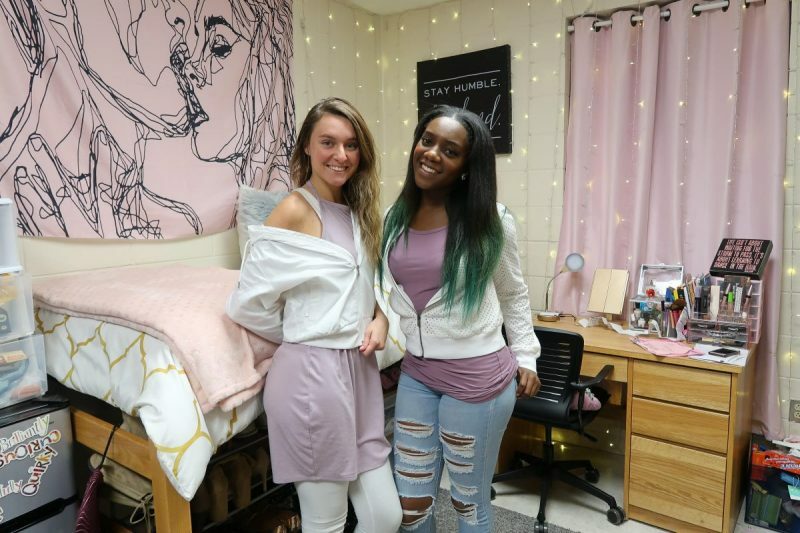 Anna Bennett (left) and Vanessa Agunobi have lived together for more than a year. (Photo courtesy of Vanessa Agunobi). Now a story about two UNC students who formed an unusual friendship over the controversial topic of race. Anna Bennett is a white student who feels passionate about radically educating the white community about privilege and hierarchy. Vanessa Agunobi is a black student who doesn’t agree with some of the radical forms of racial empowerment. But the two found themselves roommates – and later best friends. Vanessa is a member of our Carolina Connection crew. For Black History Month, she prepared this personal essay about their friendship.